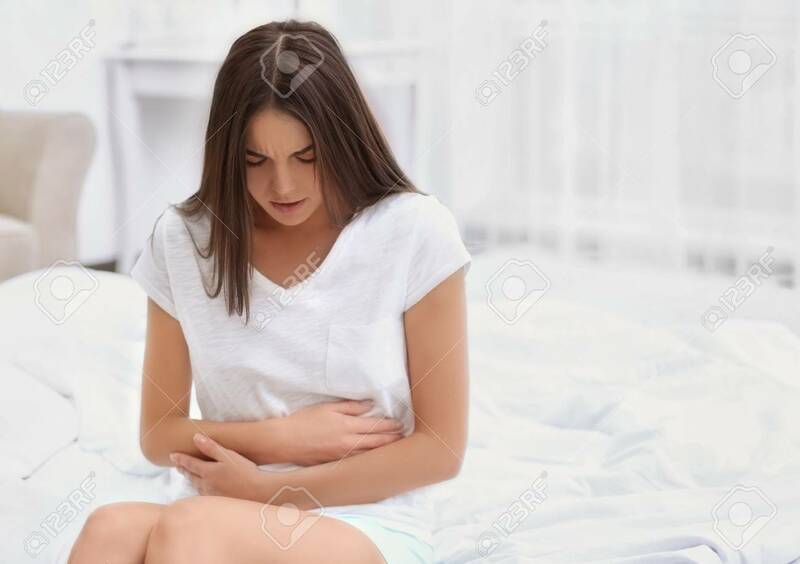 Young Woman Suffering From Abdominal Pain At Home. Gynecology.. Stock Photo, Picture And Royalty Free Image. Image 97251199.